Ask a foreigner about ‘typical Dutch’ and they will probably mention cheese. Are you in Amsterdam and looking for the ultimate Amsterdam Experience? Try a cheese tasting at the Old Amsterdam Cheese Store. This store is in the middle of the centre of Amsterdam, on the Damrak, and is the ultimate experience if you are looking for a typical Dutch activity. The Cheese tasting at the Old Amsterdam Cheese Store will give you the ultimate Amsterdam Experience. During this on hour tasting, a true cheese expert will tell you everything you want to know about cheese. A sommelier has set up different wines to try with the cheeses. These wines expand the taste of the cheese and it will give you a different experience. The cheese will be served with fig bread and grapes to neutralize the taste. This all together makes it the perfect Amsterdam Experience. There is an interactive quiz during the cheese tasting and the winner gets a nice present. This makes it also a little competitive. Nice to do with your travelling company but also fun to do with colleagues, friends or family. Since the location of the Amsterdam Experience is in the middle of Amsterdam centre, there are plenty of options to do after the cheese tasting. The tasting is daily at 4.30 pm and will take about an hour. Afterwards you can go to a bar for a few more drinks, do an escape room or maybe go to a restaurant. The options are endless. Mind this: the location of the cheese tasting is only accessible by stairs. Have you tried the cheese at the Amsterdam experience? Then we can imagine you would like to have this experience at home. Also, if you haven’t been in Holland but want to try the typical Dutch cheese, you can go for this option. 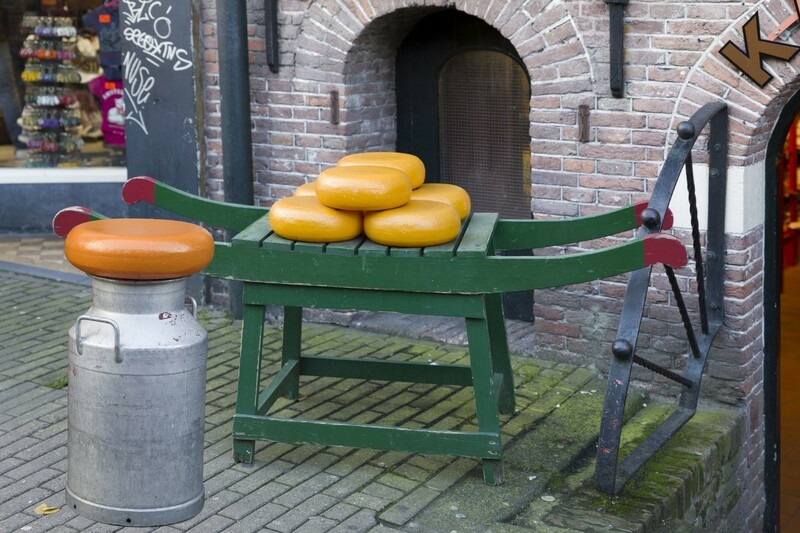 The Old Amsterdam Cheese Store has a webshop with worldwide shipping against great shipping ranges. Because they use a special cardboard box with cooling elements, they can guarantee the quality during shipping. Curious what it will cost if you make an order? Find out at the webshop.